Greensboro Golf courses are off the north-south I85 Interstate and I40 that runs through North Carolina. Listed above are 34 Greensboro area golf courses within 45 minutes of driving, that include the cities of Chapel Hill, Winston-Salem,Burlington, Clayton, and Graham. Travel here by car on Interstate I85, or travel here by flying directly into the Piedmont Triad International Airport (GSO). 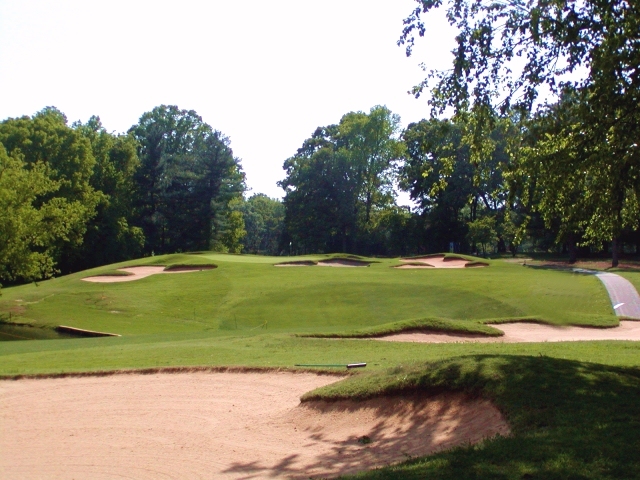 Enjoy your visit, and discover some great Greensboro Golf Courses. Check out the Fayetteville Golf Trail for a complete review of the Fayetteville golf experience. Also Consider including a visit to nearby Pinehurst and possibly include a Pinehurst golf course into your golf travel package, since it is only about an hour's drive from Greensboro. Advertise here to reach Greensboro golfers. Greensboro, Asheboro , Burlington , China Grove , Graham , High Point , Winston-Salem .